Last month, Republic Services, owner of the Historic Wintersburg site, informed the City of Huntington Beach, the Ocean View School District and the Historic Wintersburg Preservation Task Force of its intent to sell the land to Public Storage for development as a self-storage facility. 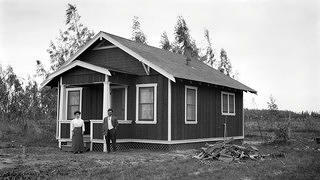 Since that time, Huntington Beach council members have received numerous letters in support of the historic site’s preservation and reuse as community resource, ranging from the Huntington Beach Historic Resources Board and Preserve Orange County to the Japanese American National Museum and the national Japanese American Citizens League. On Friday, February 23, representatives of the Historic Wintersburg Preservation Task Force, Ocean View School District and the National Trust for Historic Preservation met with Republic Services to discuss more desirable and appropriate alternatives for the future use of the Historic Wintersburg property. 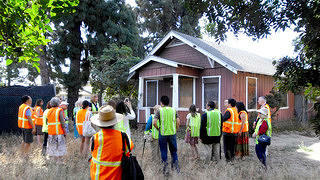 The Task Force and partners restated their offer to purchase the endangered historic site for fair market value through the Trust for Public Land, with the goal of preserving the historic buildings and grounds as public park and community space for Huntington Beach and the Oak View neighborhood. Republic Services agreed to consider this alternative, with a report back to the School District before the end of March 2018. 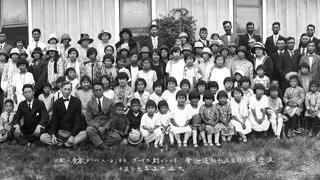 From immigration in the late 19th century to the return from incarceration following World War II, as highlighted recently in an OC Weekly article, Historic Wintersburg stands as a rare, irreplaceable and nationally-significant testament to the Japanese-American experience. All six buildings on the site are individually eligible for state and national historic registries. Learn more about the endangered history and untapped potential of this National Treasure at savingplaces.org/historic-wintersburg.